ECA Elite from Hard Rock Supplements is the newest addition to the Hard Rock Supplements product line. 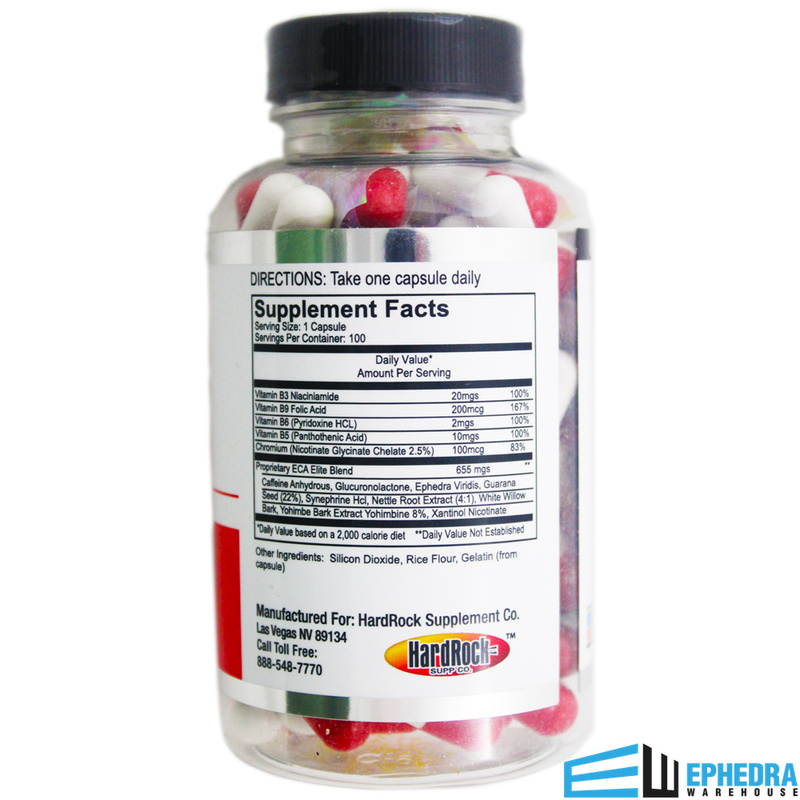 ECA stands for ephedra, caffeine, and aspirin that when combined give you an incredible diet pill. 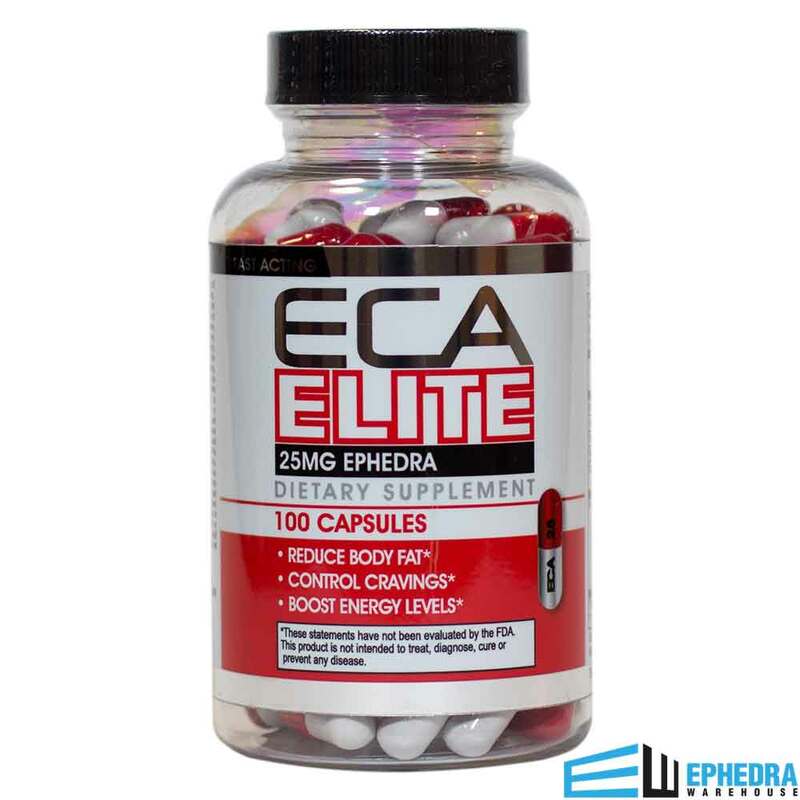 ECA Elite has 25mg of ephedra extract. If you are looking to burn fat and increase your energy, then ECA Elite could be the perfect supplement for you. ECA Elite from Hard Rock Supplements has a great combination of ingredients to help you get the body you desire. ECA Elite contains B vitamins to boost your metabolism. The proprietary blend in ECA Elite increases your energy levels, and helps you burn off unwanted fat. ECA Elite works to increase energy, burn body fat, and control cravings. Since ECA Elite is such a new product, we would love to know what you think. Please feel free to leave your comments and ECA Elite reviews. As with any new medication, be sure to consult with your doctor prior to consuming ECA Elite. For the best results and to avoid side effects, follow the directions for use carefully. Great new product. 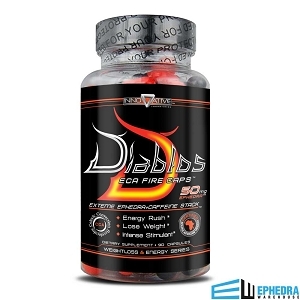 I have been taking Lipodrene and Hellfire for years and gave me a jolt of energy. I have loss 8 pounds after 2 weeks. I am extremely happy with my results. I just seemed to hit a wall with Lipodrene where I could't lose anymore. ECA Elite is defiantly worth the money. 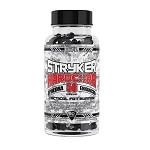 I gave ephedra a rest for a while, but missed the pump it gives you pre-workout, and the appetite suppression. I went off price & reviews to choose ECA Elite, and I'm not disappointed. I still haven't pegged the exact time to take them before a workout, because sometimes it feels like it hits you an hour after you take it, sometimes three hours. For an appetite suppressor, it's not bad. Plus, the serious boost it gives me helps me put up with all the idiots at work. I'd recommend it. I live this product. I have used several others and this one does the job. Great energy, keeps appetite in check, no big crash after. The energy lasts through my workout after work. Really great product. Good energy, no jitters and a wonderful fat loss % ratio. Strong product that you can feel. Don't use just before endurance sports as it elevates heart rate by itself. Curbs hunger too. Great product. Yep. This seems to be the only ephedra / white willow bark combo that works for me. I am hypoglycemic but even so, this product doesn't bottom me out like most diet aids did in the past. 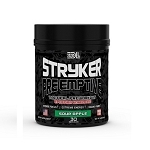 I had always gotten my ephedra from GNC but they went all soft and didn't offer the good stuff that actually works. And this stuff works! All I need is one in the morning and I can get through just about anything ahead of me. Thanks for keeping this product pure and not changing any ingredients. ECA Elite is great. I tried others, this works for me. I have been on it for a little over a week. I am still trying to get used to the boost of energy from the caffeine in it. I haven't noticed a difference in my body yet but I don't expect to in a week. I'm keeping on a good diet and working out 4 to 5 days a week. I am hoping this gives me the extra oomph I'm looking for as I try and get to my weight goal. This ephedra 25mg.pills are just whst I used to buy years ago! They are amazing they do exactly what the advertisement said. I don't think ephedra is bad at all I have used it for years and years never had a problem just use common sense and hydrate more cause you are exercising hard you'll sweat more .